The first task a couple takes over once they're engaged is finding the right wedding venue. The bride and groom usually visit more than one venue and check all its details before deciding on one. Two of the most important details couples focus on when it comes to their wedding venue, is the capacity and price. After that comes the catering services, and whether the halls can be separated to accommodate separate wedding halls for men and women. In Kuwait, there are so many options when it comes to available wedding venues in hotels. To help you out, we have chosen some of the top hotels to have your wedding at if you're getting married in Kuwait. 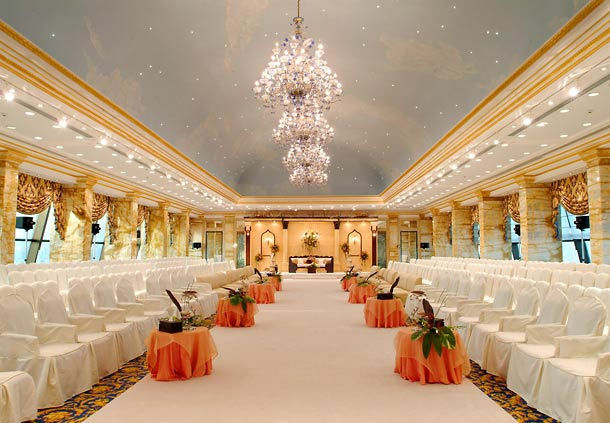 The Regency Hotel in Kuwait is one of the best places for weddings, as it offers huge ballrooms for large numbers of wedding guests. If you're planning on having a big wedding, The Regency Hotel offers you Al Maha and Al Fatooh ballrooms which can accommodate over 800 wedding guests, with a stage, and no round tables, for those who want to add roundtables, the ballrooms take around 600 wedding guests. 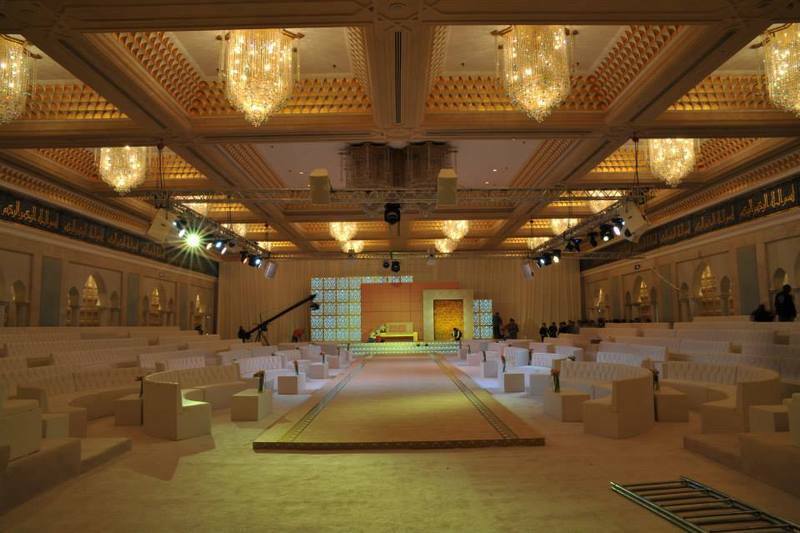 Sheraton Kuwait's ballrooms cover all your wedding needs, from catering to sound and light systems. The hotel offers 3 amazing ballrooms, The Diamond Ballroom, The Coral Ballroom, and The Crystal Ballroom. The hotel also offers on-site wedding planners who will help you plan your dream wedding. Whether you want a classic or modern wedding, the team at J W Marriot is ready to create the perfect wedding for you. The ballrooms host up to 450 wedding guests seated on round tables, and 700 with no round tables. This stunning beach hotel in Kuwait has state of the art banqueting facilities which makes it out as the perfect venue for weddings. The centerpiece is the vast, purpose-built wedding hall, featuring 1950 square meters and a private bridal suite. 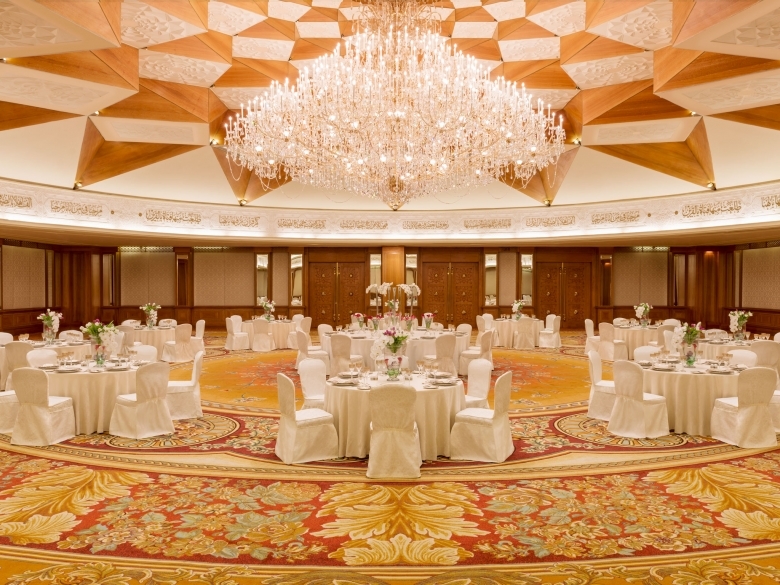 The Hilton is one of the best hotels in Kuwait which is known for its elegant wedding venue. 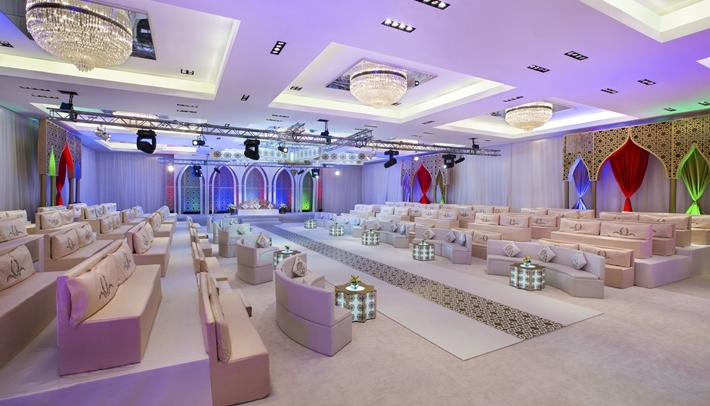 Al-Durra is a modern ballroom with all the wedding equipment. The planners at the hotel will help you with the catering and other wedding planning details. The hotel is located at the heart of Salimiya, and is one of the most beautiful hotels in Kuwait. 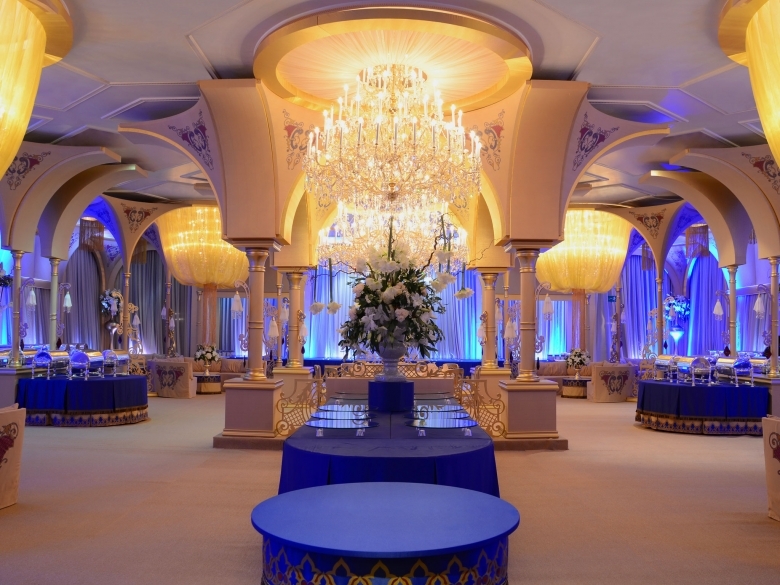 The ballroom has a modern design and very glamorous decor, with crystal chandeliers making it a perfect wedding venue in Kuwait.